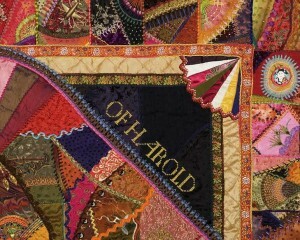 Call them concept quilts, art quilts or embellished quilts, the saying “everything old is new again” is most recently illustrated in the wildly popular renaissance of “crazy quilt” techniques. What began with French knots, the ladder stitch and blanket stitch has exploded in to using more complicated and decorative embroidery stitches in a wild and colorful variety of threads and ribbons. Throw in beads and metallic fibers and even beer can tabs, and you can see why this anything goes trend is back and being so widely embraced by quilters of all ages, styles and techniques. Who better to sit down and talk embellished quilts with than Allie Aller! 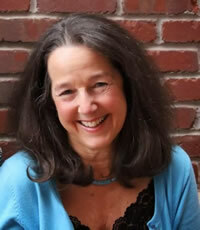 Allie has authored two books, teaches extensively, and has a self-confessed history of “twenty years (of being) a sane quilter until 2001” when she began her love affair with all things “crazy”! In what ways did the emergence of crazy quilts foreshadow today’s studio art quilts? Crazy quilting emerged as an enormous fad (and even “movement”) in American quiltmaking in the 1880’s. This is delightfully documented in Sue Reich’s Crazy as a Bed Quilt, which quotes over 200 contemporary newspaper articles about the crazy quilt mania that swept the nation at that time. Everyone was doing it, but why? There were many reasons: it was a perfect storm for women to unleash their creativity in new ways. The advent of the American silk industry, which made fancy fabrics available to the mainstream needle workers of the day, gave women a whole new palette of fabrics to work with. The exposure to radically new design possibilities via the famous Japanese exhibit, with its asymmetrical art (shown at the Philadelphia Centennial Exposition of 1876) made a huge impact on how quilt blocks were imagined and constructed. New embroidery techniques from Britain were making their way to America at the same time, and those artful stitches went onto the quilts. Victorian women were encouraged to decorate their homes with their needlework as it was thought to demonstrate their good character! For a time, crazy quilting was ubiquitous. Those were prosperous times for many, so the utilitarian needs of quiltmakers could be transcended by leisure. Quiltmakers could make up their own patterns within this new genre, though I feel personally there was great peer pressure to follow the many established norms and design parameters in crazy quilting. All these factors were repeated a hundred years later, I think, in the emergence of the Art Quilt movement. The Internet has given us access to an infinite new array of fabrics, tools, and supplies with which to make our quilts. 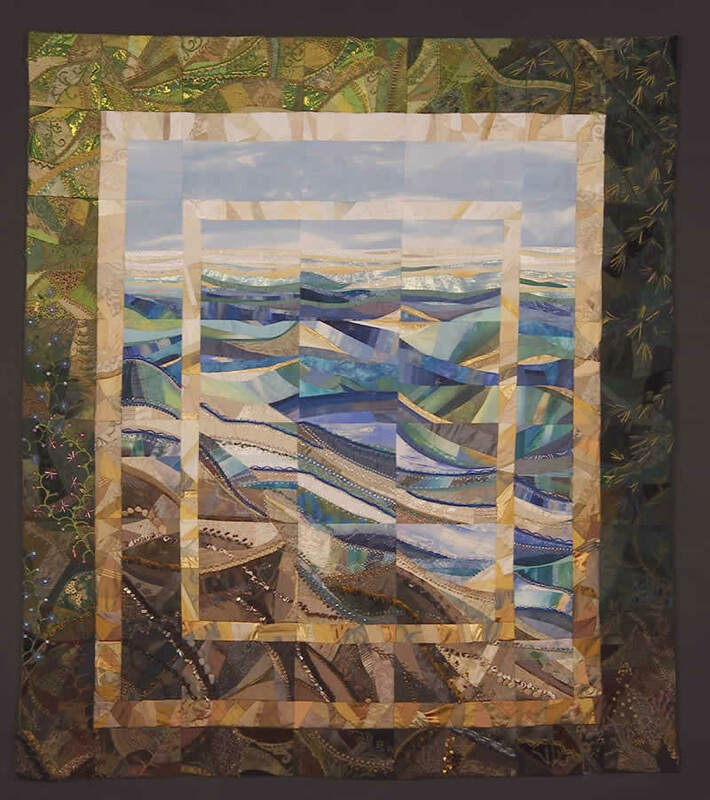 Quilt publications, online and in print, and the many national and regional quilt conferences and competitions, even classes in our local quilt shops, expose us to an enormity of ideas that is sometimes hard to process. 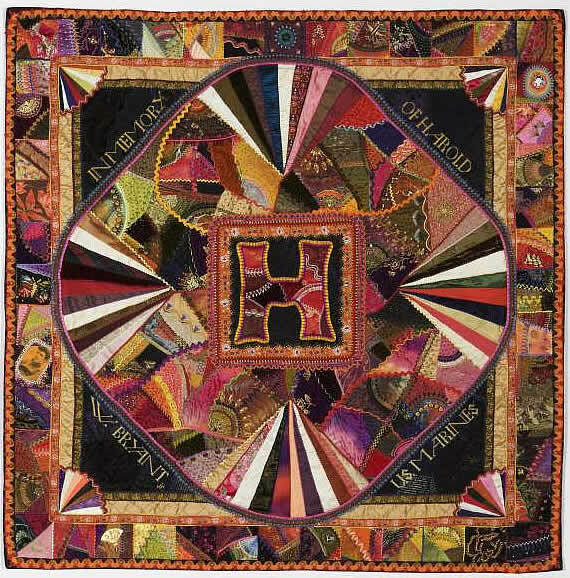 Quiltmakers today who express individual creativity may not seen as demonstrating a “moral value” per se, but is encouraged within our community. Trends in the art quilt movement are taken up and explored by many and supported by emerging industries (longarm machines, thread varieties) as the ideas within crazy quilting were supported by the emerging silk market a century before. Finally, art quilts are made for decoration just as crazy quilts were. I don’t mean to imply that today’s studio quiltmakers are merely decorative artists. Maybe I should say that art quilts, like crazy quilts, are not functional in the traditional sense of a quilt. We are free to step outside the box as art quilters, just as crazy quilters were in the 1880s. What made crazy quilts different from the traditional quilts that preceded them? Traditional quilts were made from cotton and drew from a deep reservoir of cherished block and setting patterns. The quilts were indeed decorative but their function was to cover the bed and keep people warm. Crazy quilts were made from fancy fabrics and incorporated seam embroidery and decorative motifs within individual patches, often accenting the individual’s painting or embroidery skills. These quilts were showcased in the home, draped decoratively over the piano, but never intended to be functional. A deeper difference, and one I have discovered in my own 40 years of both traditional and crazy quilting, is that crazy quilts can take a long, long time to make. I think of my crazy quilts as my “novels” because many have taken a year’s work, and they contain all that I lived and thought about during that time. It is in part a contemplative discipline for me, as well as a fine craft I wish to hone. Every crazy quilter will tell you when dealing with private life issues, crazy quilting gives comfort, refuge, a place to regroup and heal as we stitch away grieving, memorializing, honoring, loving, commemorating, and finally, celebrating our lives, making them that much more beautiful, and ourselves that much more whole. What is the future of quilting? Quilting has a rich and joyful future! Quilting is a deep and lovely force for good in society and a source of great individual satisfaction and personal growth. It will change in its outer forms, especially as new generations take it on in new social environments, but the motivations behind making quilts will stay the same. These days I am very interested in ways to combine traditional and crazy quilting. 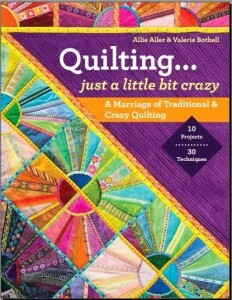 My wonderful co-author, Valerie Bothell, and I have a book coming out from C&amp;T Publishers on this subject in May 2014, aptly enough titled: Quilting…A Little Bit Crazy: A Marriage of Traditional and Crazy Quilting. We hope to reach out to those whom we call “sane quilters” and introduce some elements of crazy quilting – whether in the piecing or stitching–to functional quiltmakers. I continue to teach crazy quilting around the country and now online in my Craftsy class, and am already gestating my third book! From QNNtv and now available for online viewing, Allie’s three-episode, 3-D Flower Embellishments with Jodie Davis. Her first book, Allie Aller’s Crazy Quilting is available online and at bookstores. For more about Allie’s teaching schedule, her workshops, to read her blog and view her quilt gallery, visit her website, Allie’s In Stitches. Photos in this post are courtesy of Allie Aller. Thanks so much for sharing. I’ve been making crazy quilts for most of my quilting life (which granted is only a total of about 3 years now). And while many of my crazy quilts are more about the piecing style than the extra embellishments, I find great satisfaction in creating something that there truly is no way to duplicate – something that is inexorably me. My first crazy quilt was simply a matter of having too many scraps with no real concept for how I would use them. Since then, I have set out and completed several more modern versions of crazy quilts in a variety of themes. But until just a couple months ago, I was completely unaware that there was a renaissance in crazy quilting, as many more crazy quilting projects started showing up in my online feeds. One thing I would like to know about your crazy quilts is how they are quilted/attached. Do you “stitch in the ditch”, tie your quilts, or use some other method? Any time I see photos of crazy quilts in old books, it only shows the front, and so I have no real concept how most people traditionally finish these quilts, particularly those of the more embellished variety.
. It is attached to a smooth backing by star stiches in the corners of 10 inch blocks. Because crazy quilts have so much surface design, (not to mention beading, on some of them) it is pretty tough to integrate machine quilting with CQ. If your blocks are joined with no seam treatments between them, then machine stitching in the ditch is a great option. But otherwise, the quilts must be sandwiched and secured from the back. I use buttons instead of fabric ties, because they provide more surface area to support the connection between the tree layers than a little know would. I sew them on through to the front, but make sure my stitches are hidden on that front side. However, there is an additional technique called the “false back” that gives even greater support to the integrity of the quilt. Essentially, the quilt top, batting, and a backing of lightweight muslin is hand quilted together…from the back, with large basting stitches in lines every 2 inches across the quilt–but making sure the stitching goes just into the foundation fabric of the blocks, not all the way through to the front. After that is completed, a “pretty” back goes over all and is attached with the buttons. I like to finish my quilt with a French Facing technique, so there is nice clean edge with no binding. The False Back is covered in my first book, Allie Aller’s Crazy Quilting, in more depth, and French Facing is in my second book, Quilting…A Little Bit Crazy, but the articles should steer you. Hope this was helpful, and happy stitching! Allie I love your quilts. Have you ever done one where you didnt quilt in blocks, just kept on adding around the edges? I have been playing with the idea for awhile. I can see the drawbacks, but me being me I want to try because I am always pushing into trying something just to see how it goes. I have always been the type to just has to try something just because! You are describing a “whole cloth” crazy quilt. Just start appliqueing your patches on a foundation the size of your quilt, and build away on it. I searched the Quilt Index for crazy quilts and several of the whole cloth type came up. Have a look!